14 Years on the Web! Packing your backpack for different terrain. Protect yourself, learn to use a firearm with Nevada Recreation and Survival Inc.
With Mountain Survival you may avoid this! "Battle Cold and Conquer Mountains"
If you can survive in the mountains, you can survive anywhere!! ***Practice your survival skills before you need them***. The mountains are prone to afternoon thunderstorms. It can Snow any time of the year and it has! You can check local, Nevada and California weather and road reports here. Check Current Weather Radar Here!!! Want to make a complaint about anything? Do it Here! NEW LIVE WEATHER CAMS OF LAKE TAHOE FROM DIAMOND PEAK HERE!! See Weather or Not you are going to Play Today! 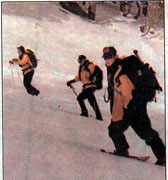 Member of National Search and Rescue and Local Search and Rescue for almost 15 years. Mountain Survival .com Survival Kits viewed here!!! Looking for Survival Food? Check this link out. Shoot a full auto today! Proud Supporters of the Nevada National Guard. I donated a son. 16 Years on the Web!! Winter is almost her and the weather is constantly changing. Please check the weather, take a hat, garbage bag, water and know the area. Be careful. If your any reason you need help, do not hesitate to call Search and Rescue. Dial 911. Time is of the essence. Want to test your skills. Take this quiz and send me your answers. If I like your responses, I will send you a free survival item. How are you going to Survive today? Prepare Here! Mountain, Wilderness, Desert, Urban and Personal Survival. Increase your proficiency and competence with survival tactics offered here. Search Mountain Survival Web Site here! Want to start with survival training? Start with the rules of 3. Build all of your outtings and challanges around these simples rules. Survival classes will be provided upon request. Please email Josh@mountainsurvival.com for more information or call us at 775 741 0735. Free one hour introduction. “We provide survival training classes from 4 hours to 7 Days. All levels and all situations. Rates start at $400 per day for 8 hours up to 4 people. Group rates are available. Text us at 775 741 0735 or call. Insite:"Pracitce your survival skills all of the time. This is a dimishing skill if not practiced enough!" Learn how to drown proof yourself. Your pants can be used as an emergengy flotation device. see here. Important Note from Josh Ketcham, Survival Inc.
We have over 50 years experience in the outdoor wilderness and are still learning. If you have questions! We have answers! Over 93,000,000 visitors to this site. 13,000,000 hits in 2015 alone. This site specializes in outdoor skills and tactics needed around Lake Tahoe and Sierras but can be used anywhere. Sunday, November 13, 2016: 0 in the US & Canada this season so far. Put worry out of your mind. It takes energy and is unproductive. Worry only makes matters worse and not better. We are not experts. We are students striving to become better. Keep on learning!! Do not point a fire arm at anything unless you intend to destroy it. God, guides, guards, governs, protects and provides!! This site has so much information to offer I have organized the links on this page. To the right under "Organized Links"
Warning: "Those who go into the Wilderness and engage in dangerous sports are playing chess with Mother Nature." If in a survival situation, keep a Positive Mental Attitude. Lose this and you will not return. STOP!!!!! Check list for mountain Camping. A small compass like this could save your life. Humans are programmed with basic survival skills. Think before you act. Tip: Do you know you can boil water in a plastic bottle over an open fire? Carry more than one source of fire starter with you. Do not rely on rubbings two sticks together to ge a fire going. Why is Mountain Survival important? Incline Weather, Nevada Road Conditions, Live Cam at Lake Tahoe, Check Current Weather Radar Here!!! Keep Trying: Never Ever Give Up!!!!!! Land Navigation and personal survival training available. Life Time Member Washoe County Search and Rescue 16 Years and counting . Board Member of Nevada State Board of Search and Rescue appointed 2016 to 2018 under the Nevada Department of Emergency Management. There have been above average drownings and rescues at Pyramid Lake. If there is a doubt in the weather, do not go. The last drowning was an individual who was wearing his flotation device. Please be aware and careful. Recent Search and Rescue Incidents in the News. Build a fire with a battery and steel wool. How to build a fire. A youtube video. It is not bad. It is not mine. Make Your Own Back country Insurance Policy. Survival Kit. We provide back country skill trainig to schools. Give us a call. Carry at the least 2 ways to start a fire and some plastic bags for your feet to use as a vapor liner if you become lost. Learn and follow the "Rules of 3" before you venture out. What is the best survival tool you can take into the back country? Think about it! Zippo lighters are great to have however it is normal for the lighter fluid to evaporate out. Check it often. Washoe Searches in the past 120 days. Updated Avalanche conditions in the Sierras. Check it before you venture out. Avalanche notification system is now closed for the season. Call us when you need us: Washoe County Search and Rescue. We are volunteers and can use your donations. "So That Other May Live!!! Any Where! Any Time! NO CHARGE!!! What to do if someone has not returned from the back country. god is loveYou do not have to wait 24 hours to report a missing hiker or child. The sooner, the better. If you believe that someone is missing or overdue, you should report them right away to law enforcement. The 24 hour rule does not apply to search and rescue, however there must be reasonable circumstances for us to justify our response. 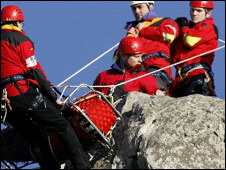 The determination of whether SAR will respond is left up to the SAR Coordinator. He determines the urgency of the response. There is no charge for the search and rescue in Nevada. The Washoe County Sheriffs Office utilizes teams of well trained volunteers supervised by professional paid deputies that have been trained in SAR management. These volunteers are dedicated citizens from the community that donate their time, vehicles and equipment to our cause. The teams finance a large portion of their operations with donations from the public and private grants. If you need them Call Them. They are volunteers under the direction of Washoe County Sheriff Department. 911.
area: North Lake Tahoe to the Idaho-Oregon border, Nevada side. Nevada is a high earth quake area. Make sure you have a 3 day survival kit ready for you and your family. Learn how to make one here on this site. Do you know the difference between "Heat Stroke" and "Heat Exhaustion"? You should! One can be treated in the field and the other needs immediate evacuation. Learn the difference. I could save a life!!! Do signal mirrors really work? A Reno, Lake Tahoe, Carson City, Gardnerville, Truckee, Washoe County and Sierra Nevada outdoor survival tips and Weather site. In Survival, one must maintain a clear mental focus on success and not failure. We tend to believe to be true what we picture in our mind. Picture yourself as surviving and never entertain thoughts of failure. With this in your mind, your chances for survival greatly increase. You can only be as successful as you think you will be!! Check local weather conditions here. Competence in backcountry survival is increased with the knowledge of weather activities. .......................Keep updated here!!!! You can check them here for California or Nevada. Check what to wear to enjoy the outdoors during in climate weather. How quick can someone hike? An oft-stated rule of thumb for walking speed is 2 miles per hour. But that's for a day hiker on an easy trail. It doesn't account for heavier loads, gazing time, rest stops, photos, or lunch breaks. Plan to average about 1.5 miles per hour if you move steadily on a good trail. Heavy loads, rough terrain, rest stops, or water searches slow you down further. Before you go to bed make sure you're wearing dry socks. Even if your socks are a little damp, don't just add another layer over them. Change them! Remove your sweaty liners too. Tip: Dental Floss makes great cordage. Carry some. 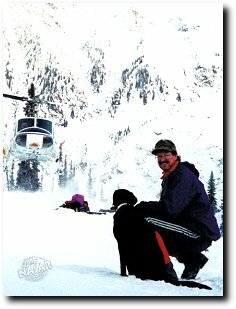 Avalanche Safety. Check it out!! "The devotion of thought to an honest achievement makes the achievement possible." We are looking for stories. Send us yours and we may put it up. Washoe County Search and Rescue always looking for volunteers. We will train. Thermo-Lite Bivy Sacks could save your life. This 8-ounce emergency bivy sack really shelters you and holds up to repeated use. Tip: To make it really useful and lite, use a silk liner. Used by members of Washoe County Search and Rescue. These are a life saver. Have a new product and want to get exposure, call us at 775 741 0735. We will post it for free for two months with no obligation to continue. Let us help. Survival is everyone's business. If you're exhausted, a rest and a snack (see energy bar and gel reviews below) can do wonders to boost morale. plenty of time set aside for those rest periods. If you are planning to hike in the back country, this article is very important. Check it out!!!!! A tip for all of you back country and out of bound skiers. Take along a space blanket. For first-aid in giving reflecting warmth, for fire reflection warmth and light and signals, for rain-proof shelter, signals of all type. If Lost, Stay Put! Make yourself visible! 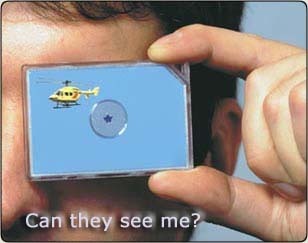 SAR teams will find You. Know the Rules Of 3's. You have 3 seconds to calm yourself down realize you are in a survival situation. You can survival 3 minutes with out air. You can survive 3 hours without proper shelter. You can survive 3 days with out water. You can survive 3 weeks with out food. If camping in a valley, find a spot more than 60 feet above valley floor where the overnight low is 5 degrees warmer. Set up camp among trees for more warmth and less dew. Place camp with clear view of eastern horizon to get morning sun. Place boots and clothes under tent fly to prevent dew or condensation. Wear a hat on a cold night. If above the snow line, store water bottles upside down to prevent caps from icing. Ice floats to the top. Had the ability to improvise. Were very adaptable and could make the best of a poor situation. Were usually very patient and remained calm, cool and collected. Were usually prepared physically or mentally or both. Were very aware of their own fears, shortcomings and attributes and tended to control them or use them very will in the situation. Had the ability to weigh the facts and make decisions crucial to survival. Had practiced skills that directly contributed to their survival. Most decisions are made on an emotional level and not by using logic. 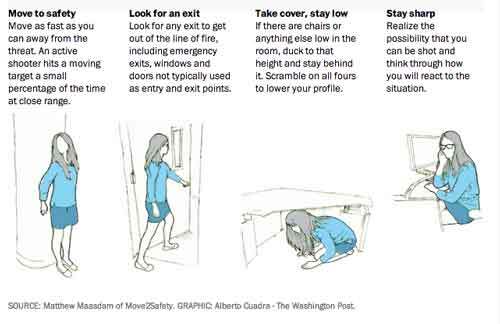 What to do to survive in the case of an active shooter enters your area. Most important are learn the Rules of 3 and practice STOP! Most Important is take your Mind. It is the number one survival tool. 1. Daypack. The capacity you need depends on weather conditions and what you'd need to survive a night out. Count on extra space for photography equipment or other gear for hobbies like drawing or fishing. 2. Food and water. Sounds obvious, but many day hikers underestimate how much fuel they'll need for a 12- to 16-hour day. Pack two lunches and a few snacks or energy bars. Check water availability; if you can't refill along the way, carry a few quarts, more in hot weather. 3. Head lamp. Test it before heading out, and pack extra batteries if you expect to be hiking in the dark. Tip: The new LED head lamps last a long time and are very bright. I now use one for search and rescue operations. 4. Basic first-aid kit. Think about the stuff you'd need to patch injuries long enough to hike out--a few bandages, some antiseptic wipes, and butterfly bandages for wounds, a triangular bandage (also works as a sling, bandanna, and athletic wrap), and tape. Adjust for longer outings and group size. 6. Water treatment. A bottle of iodine tablets or other chemical treatment adds mere ounces to your pack, but pays off on long days when you're constantly refilling your tanks. Water purification pumps or water straws also work well. They are a little heavier and may freeze during the winter. Carring some type of boiling vessel is highly recommended. In boiling, you do not hvae to boil the water for 5 minutes. As long as the water comes to a rolling boil, that will be long enough to kill all pathogens in the water. 7. Rain shell. A lightweight waterproof/breathable shell is ideal. A poncho also works and may take up less room in your pack. Toss in an extra mid layer if the weather is chilly. Garbage bags can also double as a expedient rain suit. 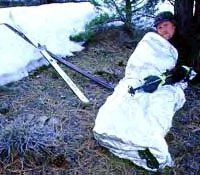 Learn how to make a hypothermia suit out of a poncho here on this site. 8. Emergency shelter. This should be number one. Depending on your preference for pack weight and comfort, all of the following work: bivy sack, emergency blanket, tarp, a waterproof rain suit, garbage bags (min. of 2). Consider carrying a lightweight sleeping bag if nighttime temperatures would kill you. 9. Warm hat. It won't take much space in your pack, but provides the warmth of an extra sweater if the mercury dips or if you have to sleep out. 12. Knife. A good full tang knife is a must in all survival situations. Pocket knives are OK but do not stand up to the rigors of out door situations. A knife can be carried several different ways depending on the size of the knife. Scout Carry, Chest Carry, Hip Carry, it can be carried on your pack or on a chest pack. I perfer the Scout carry which is horizontal in the small of the back. This allows for a quick draw. I also carry a smaller pocket knife in my pocket. 13. Cordage. I have added cordage to a survival item. Dental floss is great. This is stong and there is a lot of it in a package. It can be used for sewing up wounds if need be. In addition, it can be used for traps and lashing together cross members for a shelter. I also like to carry paracord. It is very strong and can be carried as a belt if correctly tied. I carry around all the time. I have it as a braclet, rifle sling, camera sling and even on my belt. 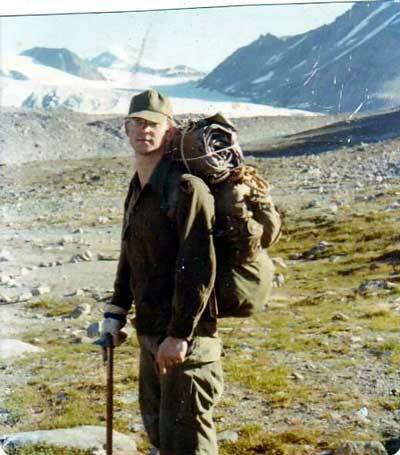 One should carry at least 25 feet of para-cord in their survival gear. The strands in the paracord can be used for traps, sutures, floss, sewing or what ever you can think up. There is a new type of carrier for paracord. It also has a place for a small lighter to burn the ends of the cord as well as another fire source. Cell Phones and Recco devices. Covered earlier: Cells phones have come a long way since this site has started. There is are so many things you can do with a phone. It can be used as a flash light, compass, gps, mapping, calling home and more. It is important to remember that all of these apps will cause the battery to drain even faster. The more apps you have on, the faster it will run down. If you are using it in the back country, turn off your data links. If there is limited cell service, your phone will discharge faster if it is looking for a data connection. Search and Rescue can find you with your phone. But if you loose the battery, it may take longer to locate you. It is a great tool but it should not replace any of the items listed above. WHY YOU NEED THIS SITE! Check here for current update. When lost, remain calm, eveluate your assets and make a plan. 4700+ Missions for the years 2001 - 2016. Josh Ketcham and Ed Burgess are Life time members of Washoe County Search and Resuce. We can make a training for you or your group. Sometimes at no charge. Some proceeds are given to Washoe County Search and Rescue to help support this ALL VOLUNTEER group under the Sheriff Office. Give us a call. When you venture out, BE PREPARED!!! Click here to find information on the search and rescue missions in Washoe County and Lake Tahoe. Increase your proficiency and master the craft of back country survival if you plan any outdoor activity. Looking for Something to do while at Lake Tahoe? Click below. 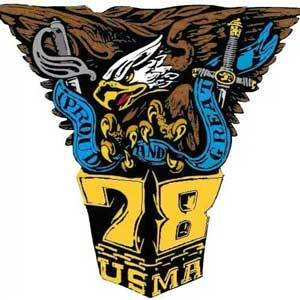 We suport our military. Thankyou to all those who have served, are serving and planning to serve. With out you there would be no US!